GOP Senator Slams "Gotcha Liberal Media" For Report On Her Attending All-White "Segregation Academy" - Joe.My.God. 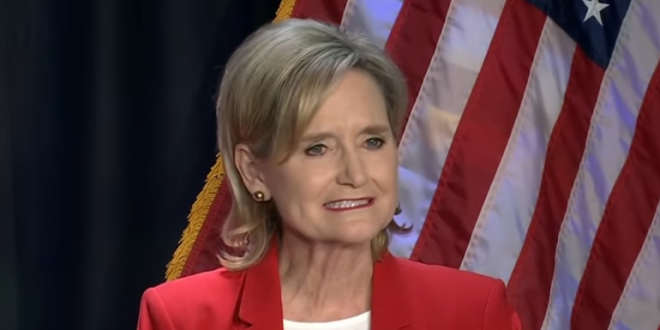 Hyde-Smith spokeswoman Melissa Scallan called the report “a new low” in a statement to The Hill while claiming the report was intended to help Hyde-Smith’s Democratic opponent Mike Espy, who she is facing off against in Tuesday’s runoff election. “In their latest attempt to help Mike Espy, the gotcha liberal media has taken leave of their senses. They have stooped to a new low, attacking her entire family and trying to destroy her personally instead of focusing on the clear differences on the issues between Cindy Hyde-Smith and her far-left opponent,” Scallan said in the statement.